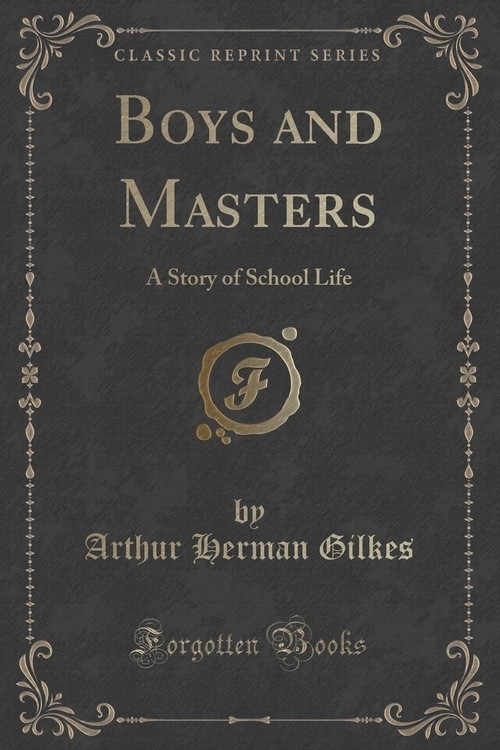 Excerpt from Boys and Masters: A Story of School Life<br><br>This is a story of school life, written because I have had much to do with boys, though nothing to do with storytelling, as is perhaps only too evident. There are a great many stories of school life in existence; but very few of them seem to give a true representation of it. I do not know whether this story is any better in that respect; I can pronounce no opinion upon it; I can only say that it seems to me to represent my experience. I send it with many misgivings into print.<br><br>About the Publisher<br><br>Forgotten Books publishes hundreds of thousands of rare and classic books. Find more at www.forgottenbooks.com<br><br>This book is a reproduction of an important historical work. Forgotten Books uses state-of-the-art technology to digitally reconstruct the work, preserving the original format whilst repairing imperfections present in the aged copy. In rare cases, an imperfection in the original, such as a blemish or missing page, may be replicated in our edition. We do, however, repair the vast majority of imperfections successfully; any imperfections that remain are intentionally left to preserve the state of such historical works.